Few countries have received the positive attention that Brazil has over the past few years. Clearly its day has come. Recently electing its first female president has certainly given Brazil some recent notoriety, but this is only one of the many accomplishments which have put it on the world’s center stage. Brazil is hosting the MIss Universe Pageant in 2011, Military Olympics in 2012, the FIFA World Cup in 2014, and of course, the Olympic Games in 2016. All of these things have raised the world’s interest in South America’s largest country, but that isn’t the only thing going up. Prices for almost any good, especially tourist commodities, are going up. Six years ago, when Zoom Vacations http://www.zoomvacations.com conducted our first tour of Rio, the exchange rate was three Brazilian reals to one US dollar. Now it’s about one and a half reals to the Dollar. So, if something cost 100 reals six years ago, this was only about $33 US. Now that same item is about $60. Not only is the exchange rate up, but the cost per item, in reals is also up. For example, let’s look at something near and dear to all of our hearts: caipirinhas, Brazil’s national drink. Caipirinas on the beach in Rio were 3 reals seven years ago, or $1 US. Now caipirinas are 8 reals, which is about $4.50. Of course, the same caipirihna at one of the best 5 star hotels will set you back $14. Dinner at a good restaurant in Rio will cost you about $90, just about the same as in the States. A drink at a dance club will cost about $12, and a small 1.5 ounce bag of potato chips at the local supermarket costs $2. A one-way 25 minute taxi fare from the international airport to Ipanema costs $60. Needless to say, the days when everything in Rio seemed to be "free" are over. But, don't be dismayed. Overall, Brazil remains a good value because it provides experiences unlike anywhere else. Shall we say, Rio is priceless, even if it's no longer on discount. If you’re thinking you should have gone to Rio ten years ago, you may be right. If you are thinking you should wait a few years until the prices get better again, you couldn’t be more wrong. No matter what your home currency does, the Brazilian Real is going up, and prices for every day items are raising so high that even local Brazilians are looking outside of the big cities, and even outside of Brazil to buy the things they used to readily and easily afford. Brazilians are now traveling to the States on a regular basis to buy electronics like computers, designer jeans, sneakers, and purses. Even workout supplements are cheaper in the States than in Brazil. A common joke is that steroids are cheaper and easier to come by than protein powder. If anything, it does explain the chiseled, muscle-bound bodies you see at the beach. While a tourist can expect to find this all over Brazil, one will see it most in the big cities. Cities like Rio know that they have made it to a prominent position among global tourists, who will arrive in throngs and will pay regardless; that largely explains the hike in prices. However, some would argue that right now is the absolute best time to come to Brazil. Yes, prices are higher than they were years ago, yet the social climate in Brazil is safer than ever, and the big cities like Rio and Sao Paulo are enjoying a kind of renaissance. Graffiti is disappearing, new restaurants and cafes are dotting the streets, and everything just seems, well, cleaner. Even Brazil’s shanty towns, or, favelas, whose seedy underbellies were widely considered impossible to cleanse are experiencing a rebirth as residents take back their communities from the drug lords. It is happening quicker than many would have imagined. Tourists visiting the Brazil of today enjoy a safer, cleaner, in many ways more sophisticated experience, but that comes with a price… a higher price. 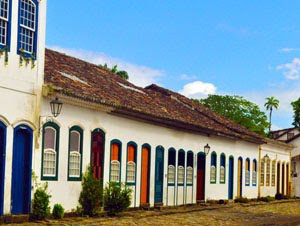 Zoom Vacations, a Chicago-based international vacation company specializes in tours to Brazil. For more information about Zoom Vacations, visit www.zoomvacations.com or call 866 966-6822. What about the fact that Florianopolis, Brazil is hosting the IGLTA Convention in 2012? Not ranked high enough with those other important events?